AJ was born in Dublin and moved to London to pursue a career in performing arts. He performed in the West End and internationally for many years. Some of his West End credits include Chicago (Swing, cover Amos Hart & Mary Sunshine) at the Cambridge Theatre and the European and West End premiere of A Man Of No Importance (Father Kenny) at the Union and Arts theatres. His international credits include the Irish premiere of The Last Five Years (Jamie), Songs For A New World (Man 1), Listen To My Heart (Man 2), Pirates of Penzance (Chorus) and the Netherlands tour of Druid (Tenor). His television and film work includes Mrs Browns Boys D'Movie, Ella Enchanted, BBC's Eastenders and The Tudors for Showtime. He has worked on and appeared in ads for Dior, Subway, Nintendo, Tictacs and fronted a campaign for Puma. AJ is a fitness coach and teacher with 20 years of professional teaching experience. He trains clients across Europe in groups and one to one. His strengths lie in coaching, training and working at multiple scales from individuals up to crowds of tens of thousands. He is known for bringing humour and an easygoing manner to all of his work and for bringing something extra to his classes. As the Creator and Managing Director of Move PopUp Gym, AJ created and curated a timetable of classes ranging from yoga, Pilates, dance, HIIT and boxing to Barre classes. He created a number of these himself and recruited and managed some of London’s top instructors to teach the rest. He has also created classes for Equinox, Frame, Nuffield health, Tribeca Studios and 37 Degrees/Printworks amongst others. As one of the UK’s most successful dance fitness instructors, AJ's dance and fitness classes and concepts (Barre based, mind body fusion classes, HIIT and endurance classes) have been featured in Vogue, Harpers Bazaar, Cosmopolitan, Time Out and the Mail on Sunday amongst many others. Corporate clients include Facebook, Google, Nike, Adidas, Sony, Stylist, Shortlist, Weightwatchers, Allianz, Pukka teas and the Royal College of Physicians. 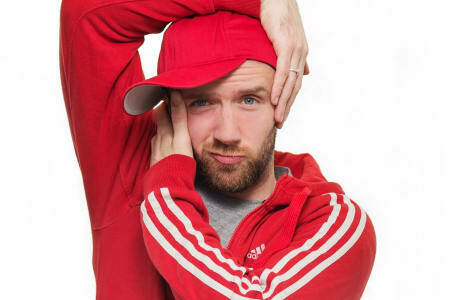 AJ has presented, choreographed and creatively direct his own children's TV show segment PopUp Popstar, creating music videos with children for Irish television. He also choreographs Music Videos, live danceathons for charity and is working on his first musical as a writer. I also puppeteer with my partner - Fad Monster is our new project and he has his own Facebook page and Instagram if you'd like to give him a follow. And I am working on a podcast musical at the moment. He currently lives in London with his partner Simon and cats Harry and Skye. AJ O'Neil is not currently an approved Obby partner. For the full list of our Dance classes please click here. If you are AJ O'Neil and would like to become an approved Obby partner, please click here.